I’ve fallen victim to washing my hair every time my twist out or flexi rod set falls flat. It was either wash my hair to make it look fresh again or find a head wrap that would hide the bedhead. Excessive washing is never a good idea and sometimes my schedule wouldn’t allow for me to do it. I was at the point where I needed a solution, and fast. I wasn’t too knowledgeable when it came to hair refreshers. My hair type is known to frizz up at the sight of the slightest mist so I wasn’t too sure what I could use that would tame my curls. In theory, whatever product I decided to use would have to be packed with oils to restore the lost moisture. After perusing the Best of the Best list, I decided to give the suggested hair refresher, Alikay Wake Me Up Curl Refresher a try. Beyond the NaturallyCurly list, I did my own research. I knew my hair needed oils to rejuvenate the curls and from what I read, Alikay has sweet almond, pomegranate and wheatgrass oils included in their formula. I also paid extra close attention to the reviews. Liz, a NaturallyCurly customer wrote, “I like that the spray is more of a mist, vs other refreshers that have a more concentrated stream. For my purposes, I like to spray all over my hair. 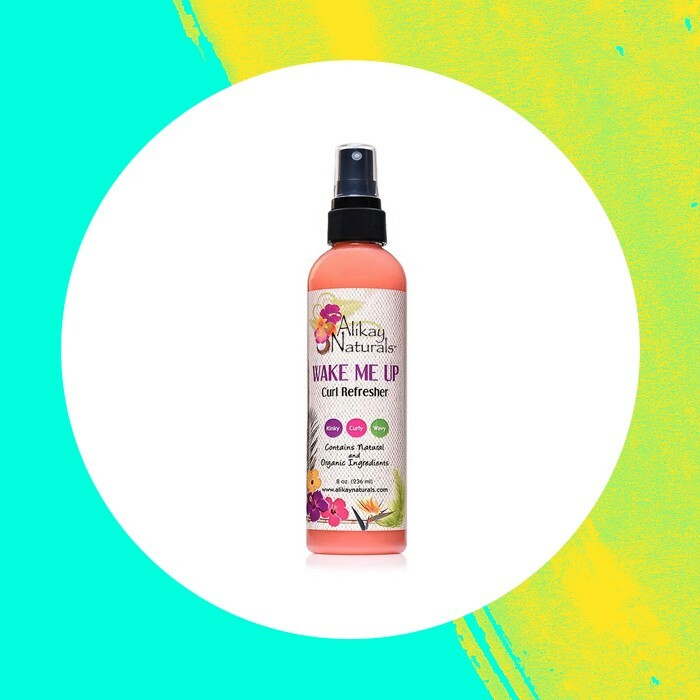 The spray wakes up my curls and provides a little bit of hold too.” Bingo! After purchasing Alikay’s refresher, I decided to use the spray on a 3-day old twist out. First of all, the smell is delicious. I had a medley of fruits that sat on the top of my head and followed me throughout the day. I even had a colleague ask me what I was wearing that smelled like a mix of coconuts and mangos. Besides the smell, I was really excited about the lightness of the product. The formula was oily, which helped bring moisture back to my hair. Unfortunately, after spraying the refresher in my hair, I noticed my hair start to frizz a bit. Turns out that with all of my research, I missed the part where the products specifies that it should be used on thicker hair. I am in the 3c/4a family and my hair isnt as thick as I’d like it to be. Even with the mixture of oils in the formula, it still managed to frizz my curls. I had to manipulate my hair with gel after using the spray to alleviate the fly aways. 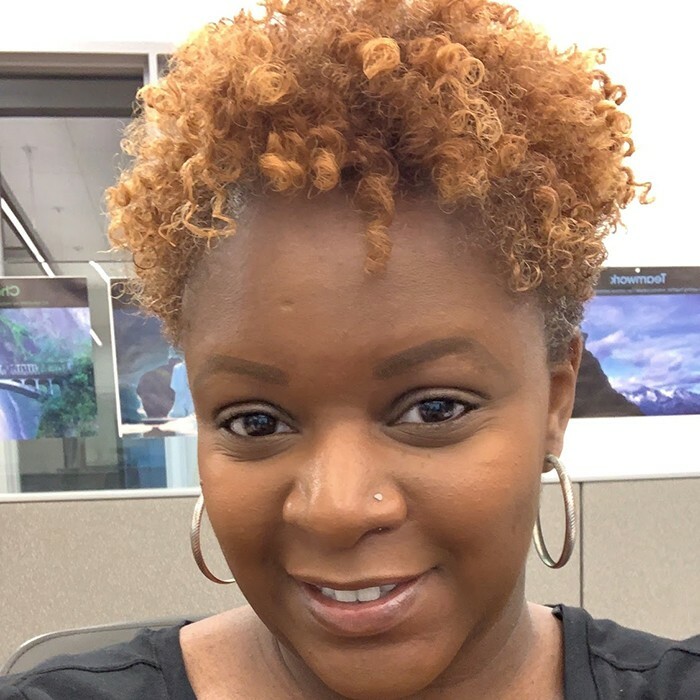 Overall, I enjoyed the refresher but I’m not too sure it is something I’d continue to use without the help of a little Ecostyler Gel. I loved the compliments on how yummy my hair smelled and I really appreciated the restoration of moisture because of all the oils. Some reviewers mentioned that this worked for their 2c type hair. Ultimately, the hair likes what it likes. My hair didn’t necessarily dislike this product, it just needs to be accompanied with a holder to see its fullest potential. What do you think? Have you tried the Alikay Wake Me Up Refresher? Let us know in the comments!